Green Residency is a sophisticated and affordable property located in Sector 47, Gurugram, Haryana. The nearest metro station is Huda metro station.The matte solid colors on the wall give a regal finish to the property. The decor is simple but standard. The rooms are also well lit with modern lightings.The rooms have AC, TV, free Wi-Fi, King-sized bed, and geyser. 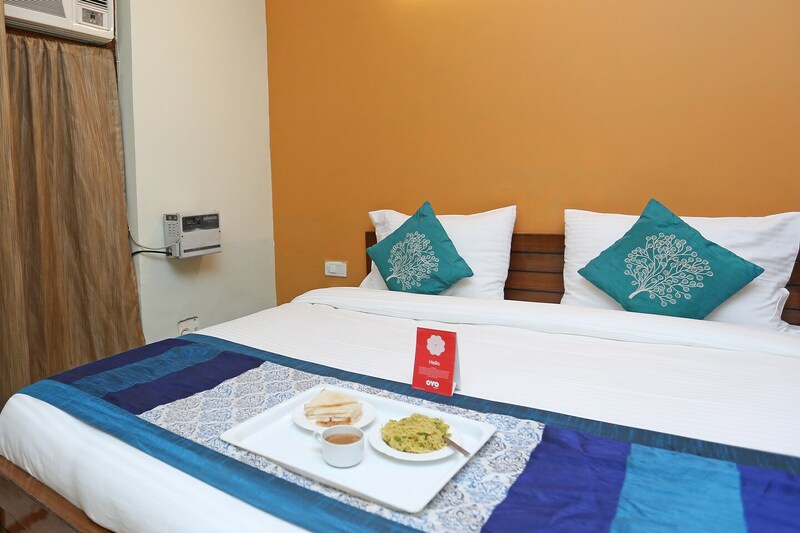 The hotel also offers a card payment facility, parking facility, and laundry facility. The property is under CCTV camera surveillance.The closeby restaurants are Crazy Bhukkhad, Tangelo Desserts & Ice Cream, Hotel Malabar, Bikanervala, and Burger Singh. Monte Carlo, Raheja Mall, Omaxe Celebration Mall, Big Bazaar, and Omaxe City Centre are the nearby shopping hubs.